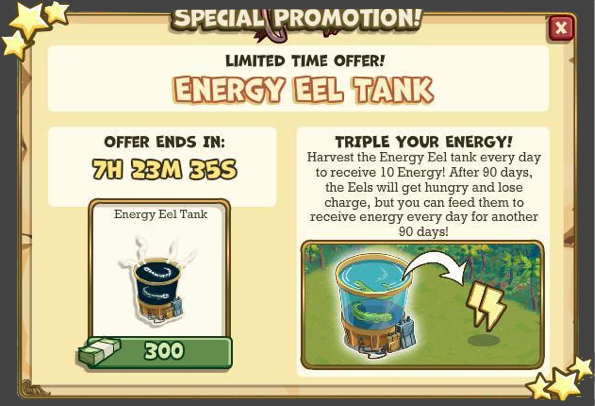 The Energy Eel is a similar feature as the Pot of Gold: it will give you along 90 days a total of 900 energy, this is 3 times the amount of energy you would get for paying the same amount of cash for Energy Packs. This is a good offer for those that usually buy energy by Adventure Cash. It will also be rechargeable, possibly for the same amount of cash (another 300 Adventure Cash).